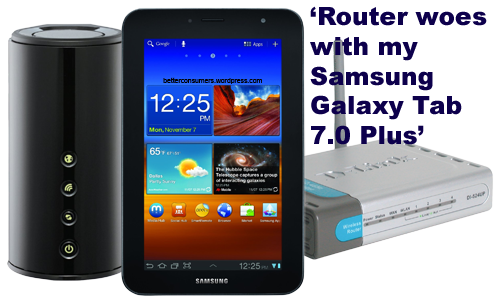 Could a Wireless N router fix my Galaxy Tab-internet problem? Could a Wireless N router fix all my connection problems my Galaxy Tab (v. 7.0 Plus) is experiencing? It seems weird but that’s what technicians at the Samsung Service Center in SM Megamall are pointing to. All my wireless devices are connecting with this setup (iMac, Toshiba Notebook (Windows 7.0), MacBook Pro, MacBook, Huawei Ideos, etc) except for my Samsung Galaxy Tab. I was able to connect only when I tinkered with my router and used a WEP setting. What’s up with that? …that Samsung Galaxy Tab 7.0 has a built-in Wireless N capability. Could that be the key I’m looking for? Do any of you have this problem too?